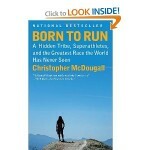 Get it, read it, live it – Born to Run. This is a truly wonderful book! I few years ago I borrowed it from my friend, Tom. I read it in 3 days! I could not put this book down. 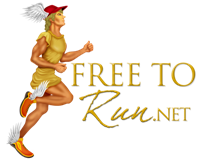 It has an important message about running, life, and the tarahumara, a hidden tribe from the Mexico copper canyons. This tribe is really born running and uses running as their way of transport. No cars! They don’t have a paradym that running is hard or takes training, power bars, etc…. they just run for the joy of it!